Of all the pioneers and worthy citizens of Jefferson County none deserves a better mention upon the pages of our county history than Colonel Hiram B. Keene. He was born in Pompey, Onondaga county, New York, June 17, 1810. His parents, Job and Nancy Keene, reared thirteen children to industry and frugality, and all of them except two became heads of families. The colonel is one of that large family, and was reared to know the value of time and money. His early advantages for an education were of the most limited character, as he had attended but fifteen months of school prior to his being married, and after that, nine months more. 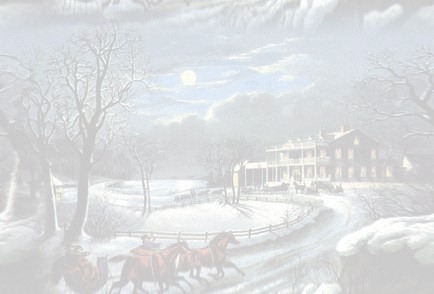 At the age of twelve, February, 1822, the colonel, in company with his parents and family, emigrated to Jefferson County, and settled in the town of Antwerp. He continued to work for his parents on the farm until he was twenty-one years of age, and during all this time he never had worn a pair of boots of any kind, and his father never paid out but one shilling for him to attend shows of any kind. He was married to Miss Betsy Doud, of Ruport, Bennington county, Vermont, January 17, 1831. She was born September 4, 1806. At the time of their marriage he colonel owed for most of his wedding-suit, and has but two dollars in money, one of which he gave to the minister who married them, and the other dollars he divided equally with his wife; thus he commenced his married life with really less than nothing. Mr. Keene possesses a vast amount of energy, which he has ably applied to the making of a happy home. In the spring of 1832, Colonel Keene purchased fifty acres of land at six dollars an acre, for which he ran in debt. At the end of two years this was paid for, and then he purchased twenty-five acres more at fourteen dollars per acre, this includes his present home. After two years, this as also paid for. During this time he discovered an iron ore-bed, known now as Keene Ore-Bed. He was plowing for winter wheat, and the point of his plow struck the ore. He sold his interest in said bed for nine hundred and twenty dollars, but only received six hundred dollars. Colonel Keene has kept on adding from time to time to his once small farm, till to-day he is the owner of fifteen hundred acres of land, and he has made all this by farming, without speculation. He has built nearly all the buildings on his large farm. He has paid from six to fifty dollars an acre for his land. He has generally been engaged in the dairy business, and, since 1865, he has kept about one hundred cows; and for the last three years he has had about one hundred and fifty cows, which have netted him about twenty dollars a head. During al this time he has enjoyed the confidence of his townsmen, and has held various offices of trust and honor. He has been an assessor for twenty-four years, road commissioner for some time, justice of the peace for eight years, supervisor for three years, and for five years he was connected with the Old Watertown and Potsdam railroad, first as an agent for two years, then a director for three years. Not only did Colonel Keene give his time in the interest of this road, but gave in money eight thousand five hundred and sixty-four dollars, besides fourteen acres of land as right of way. He also built what is known as Keene Station. Colonel Keene acted in the capacity of captain in the Eighty-fourth Brigade of State militia, and was then chosen colonel of the same, which position he held for several years. He has enjoyed the confidence of his townsmen to an unusual degree, being referred to in matters of dispute between neighbors, and was always able to bring them to a satisfactory agreement. For the last five years, save one, he has been president of the Antwerp Union Agricultural Society, which position he still holds. The colonel has always been a very liberal man in the support of schools and churches. In politics he as first s Whig, but when the republican party was organized he joined it. In the history of Colonel Keene one can readily see what can be accomplished by industry and frugality combined with good calculation. Would that Jefferson County had many more such men. A large double-page view of the place, and portraits of himself and wife, may be seen elsewhere in this work. The subject of this sketch is the son of Havers and Amy Hall, and was born at Exeter, Rhode Island, September 10, 1813. In 1820 he removed, in company with his parents, to Antwerp, Jefferson County, New York. He remained with his parents till he twenty-five years of age. On the 29th of November, 1838, he married Miss Catherine Jane Lewis, of Antwerp. She was born February 11, 1819, at Petersburg, Rensselaer county, New York, and settled in Antwerp with her parents when but nine months of age. As a result of said marriage, six children have been born, five of whom still live. Soon after marriage Mr. Hall and wife located in Newlet, on a farm now owned by George Hicks, lived there for twenty-six years, and in 1865 settled on their present farm, known as the "Lewis Farm." In politics Mr.Hall is a Republican. He is one of the progressive farmers of his town.